Von Miller called his shot earlier this week when he said his team would kick the Arizona Cardinals’ asses. The Broncos, who had lost four straight, had planned to take out their frustrations in tonight’s game. The hopeless bird men were happy to oblige. Rookie Cardinals QB Josh Rosen was fed to the wolves. His first pass of the game was tipped, and linebacker Todd Davis ran it back for a touchdown. 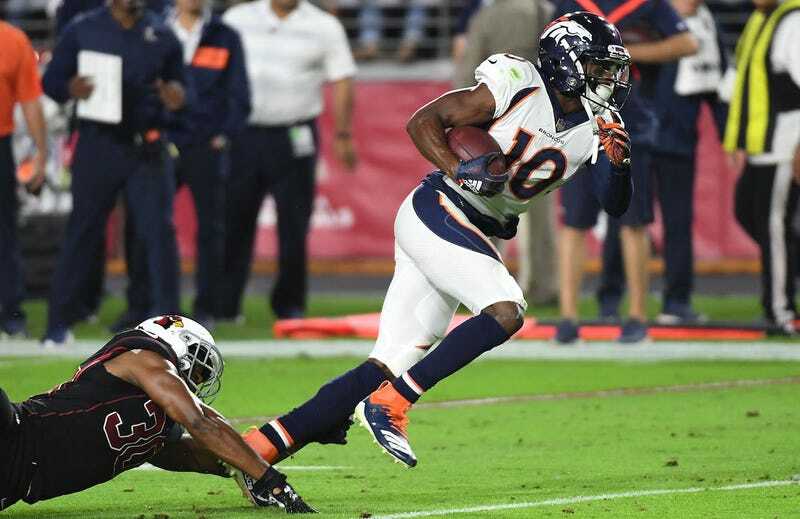 The Cardinals then went three-and-out; the Broncos responded with a drive that ended with a trick pass TD from receiver Emmanuel Sanders. Rosen threw another pick-six. Even much-maligned Broncos quarterback Case Keenum got in on the carnage with a play-action, 64-yard touchdown pass to Sanders. (All of those were embarrassing for Arizona, but that last one especially so.) Denver built a 28-3 lead within 16 minutes of game time. Unlike the Falcons, they maintained it. The Cardinals had already been struggling to properly use running back David Johnson through the beginning of the season, but it’s hard to establish the ground game when you’re getting blown out in the first quarter. The entire offense was dreadful tonight. It felt like every time Rosen successfully threw a pass, a Broncos defender smacked it away. (In reality, he was 21-for-39 and had 10 of his passes defensed. He also turned over the ball five times.) Arizona’s offense went 0-for-7 on third down in the first half. There was really no reason to watch the second. 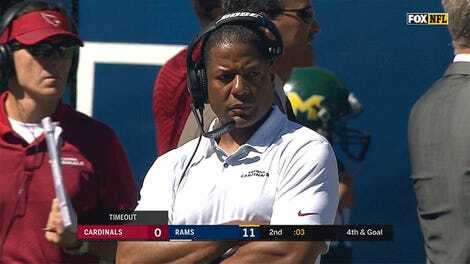 It is very difficult for a first-year head coach to be in danger of losing his job, but man, if Steve Wilks doesn’t want to fall on the sword, he’d better find someone else who can. The most likely culprit is offensive coordinator Mike McCoy, who was so poisonous with the Broncos’ offense last season that they fired him after six games. The one-win Cardinals just finished their seventh game; that body of work should be sufficient.